Canada A Top Candidate For Debt Crisis, Forbes Magazine Says – Full Circle Debt Solutions Inc.
Canada is among seven countries that are “most vulnerable to a debt crisis” within the next three years, Forbes magazine says in a new analysis. That adds the U.S. business magazine to a growing list of institutions that say Canada has borrowed too much, and a reckoning is likely in the making. 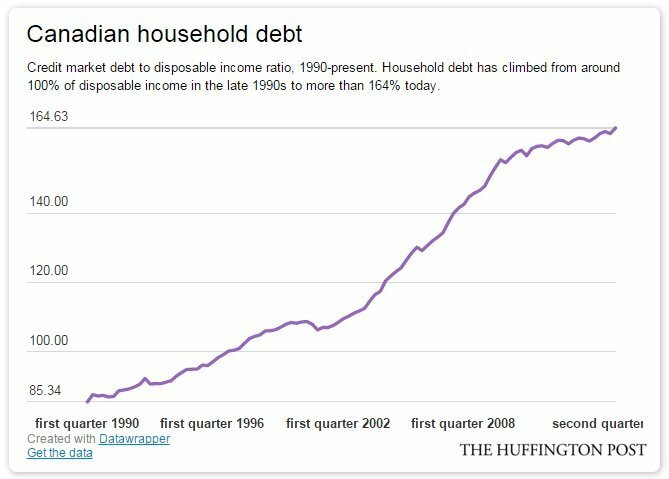 But the debt problem Forbes and others see has more to do with outsized mortgages and ever-longer car loans than it does with any deficit the Liberal government is planning to run. Spending in Canada has been growing too quickly — faster than the economy as a whole, economist Steve Keen writes in the Forbes article. That means Canada is borrowing more and more money to keep spending growth going. And eventually, as happened in the U.S. in the financial crisis, people simply can’t or won’t borrow more. To be sure, Canada doesn’t top Forbes’ list of world’s worst debt bingers. It’s in sixth place, ahead of Norway, another country fighting through the oil price slowdown. First place on the list belongs to China, followed by Australia in second place. Like Canada, Australia is a commodities-driven economy that survived the financial crash largely intact and has since seen house prices grow by leaps and bounds. To estimate debt crisis risk, Keen looked at credit data from the Bank for International Settlements (BIS), a sort of “central bank of central banks” headquartered in Switzerland. 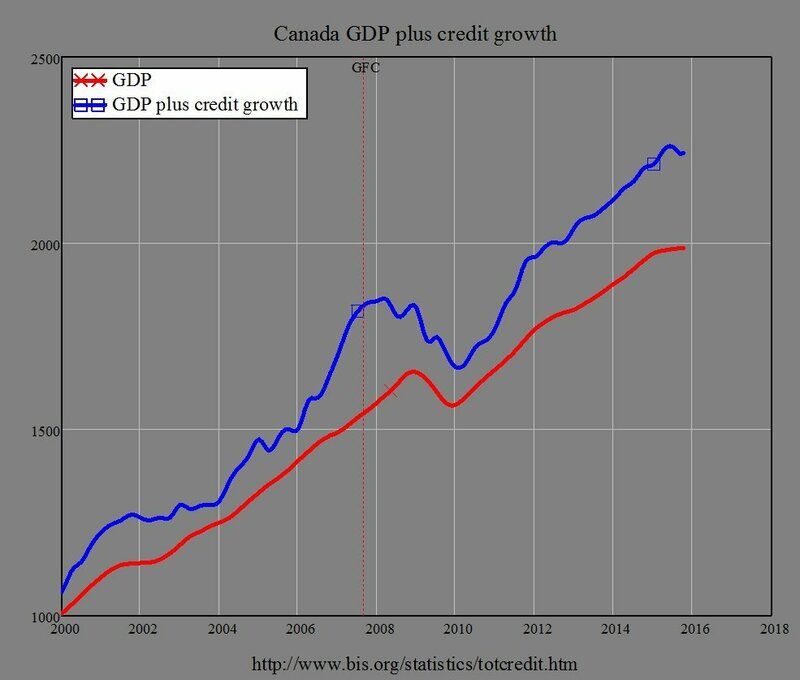 The BIS itself has been warning of a debt and banking crisis in Canada. In a 2014 report, it said Canada’s economy was flashing “early warning indicators” of a debt shock, and estimated borrowing in Canada is growing 5.6 per cent faster than it should be. Since that report, household debt in Canada has continued to climb, reaching a record $1.65 for every dollar of disposable income at the end of last year, Statistics Canada reports. The question, of course, is when this debt buildup will come to a halt — and what the impact will be. While Keen sees the debt crisis unfolding over the next one to three years, the federal government’s Parliamentary Budget Office pegs that day of reckoning closer to 2020. In a report earlier this year, it said it expects interest rates to have risen by then, making debt payments more expensive for consumers and reducing new borrowing. “Household debt-servicing capacity will become stretched further as interest rates rise to ‘normal’ levels over the next five years,” the report said. The percentage of income Canadians spend covering debts will rise to 15.9 per cent by 2020, the PBO forecasts, from 14.1 per cent today. Under that scenario, “the financial vulnerability of the average household would rise to levels beyond historical experience,” the report said.